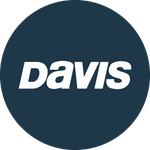 Davis Instruments Support, FAQs and Troubleshooting - As an existing WeatherLinkIP user, do I need to pay for advanced features? All Categories ​>​ FAQ ​>​ WeatherLink.com ​>​ As an existing WeatherLinkIP user, do I need to pay for advanced features? Bulletin and Map features are available to you for FREE. You can access advanced features (Chart, Data, Mobilize) by upgrading your account to Pro Tier plan for only $3.95/mo. Simply upgrade your tier by clicking on the 'UPGRADE PLAN' button in your user account dropdown menu.